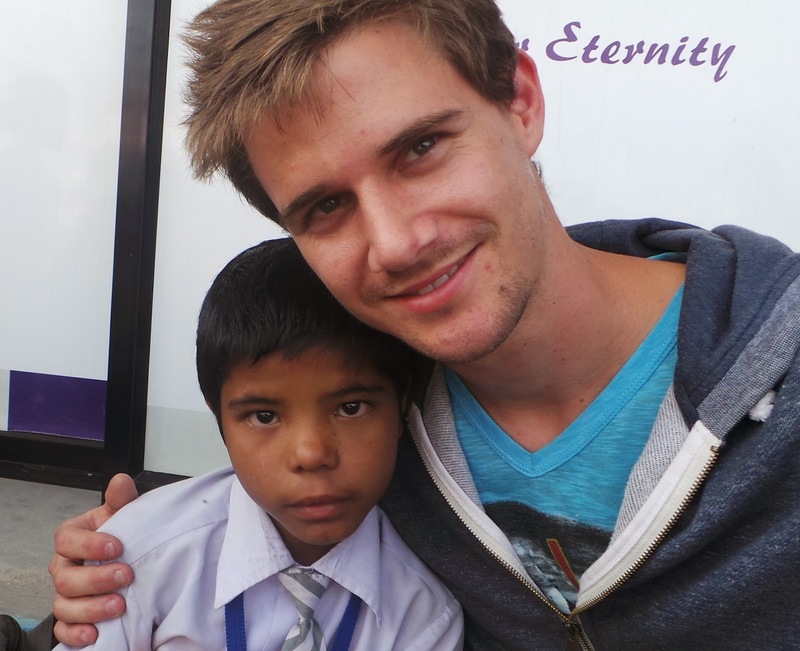 Today, Tim had to say goodbye to his little sponsor girl. As usual, tears flowed. Also the self-defence class came to a close as Annette and Danielle both leave tomorrow, along with Tim. 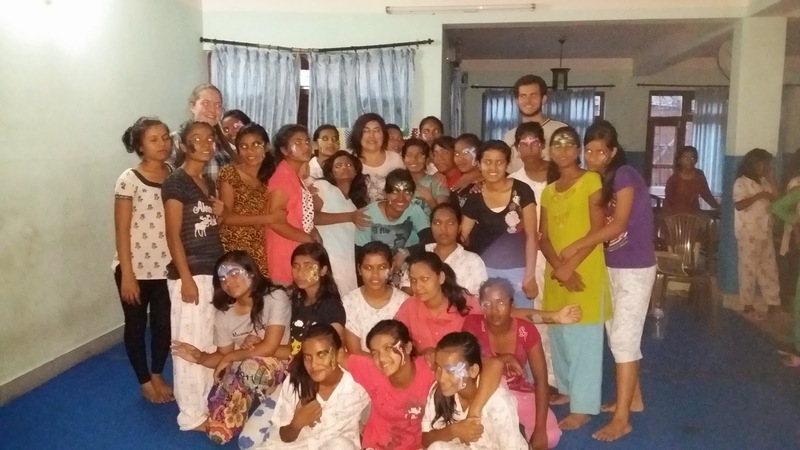 We had a visit from a school team from John Paul College, who had a cooking class with some of our girls. 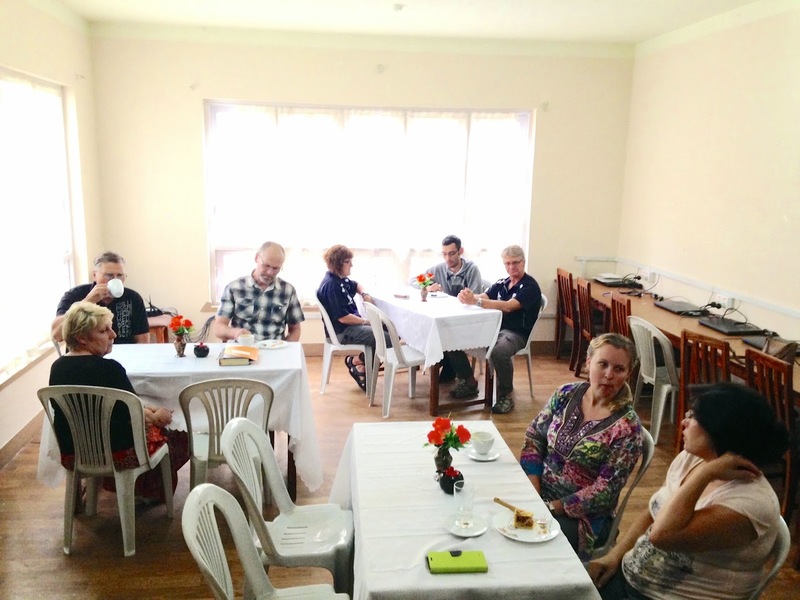 Also, our regular girls practiced their skills of hospitality on the team, in our temporary coffee shop. As you can see, our girls are becoming quite skilled with their barista training. Trish was working with her young women in preparation for work. Today, they practiced having a job interview. They are all such quick learners. It is great when you see them grasping new concepts and running with them. ESL classes continue, Tim did some bike maintenance with the boys, others were are the school training teachers. We had another team member arrive last night, who was also working in the school. Face painting and ballooning continued with the children at school, and visits to sponsored children. My day was the usual frenzied round of grocery shopping, interviews of last minute children about to board the bus and go home to the village for a visit, finishing off last minute details on the dolls , cooking dinner and lunch, and making sure everyone is OK. Some of the ladies have bought some lovely Nepali outfits, so I guess they will be showing them off when they get home. Frank has had the opportunity to go to three home groups late in the afternoon, and do some teaching, usually sitting in the lounge/bedroom with the small group of eager people waiting to drink in every word. Josh has been working setting up a computer room with his IT skills. Not exactly sure just what he is doing, as it is all too technical for me. Emma and Josh are doing some teaching at school and also helping out in the self defence class. Mike is enjoying teaching in the Bible School and his students are keen as mustard. We have twelve people leaving on the late flight on Thursday, and then we will be down to five. It has been a very full and exhausting time, but being here is a wonderful experience. Most people are already talking of returning. I guess finances are the big factor. Last night, we had a call that a big flood had swept away 44 houses in a village we have been to visit. There was an urgent need for $2,000 to buy rice to keep these poor people alive while something can be done for them. They are already so desperately poor, we wonder how they will survive. As a team, we prayed for what was needed. Within a few minutes, $2,500 was available for immediate relief. Jehovah Jireh, our provider is faithful. Saturday 4th October. The last post.